7. In another bathroom of the same residence, the washbasin counter is extended over the water closet on the adjacent wall. 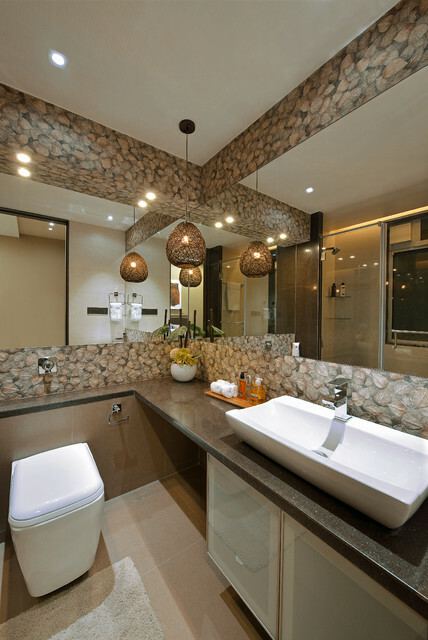 This scheme yields additional storage without compromising on the layout of the bathroom.